We would like to invite you to Nursery’s End of year Celebration on Wednesday 27th July 2016 (all morning for the beginning of the week children or all afternoon for the end of the week children). This will involve face painting, paddling pools, lots of fun activities and an ice-lolly snack. We will need volunteers to assist run the facepaints/paddling pools/activities- please tick next to your child's name in the Nursery entrance if you are willing to help! We would like to ask for a voluntary £3 contribution towards hire of activities, ice lollies and face paints. During the afternoon we will be playing in the paddling pools, therefore children will be required to bring swimming costumes, towels and sunhats into school that day in a named bag. At the end of the session (11.30am/2.30pm) there will be a small presentation to each child so if you can only make the presentation that's fine. Our topic this half term is 'What can I do with water?' Children discussed their knowledge on this topic at the beginning of term. Through this discussion I discovered a number of children would like to water and grow their own plants. This linked fantastically with our Garden Centre roleplay area. We initially told the story Jack and the Beanstalk using finger puppets. Children have been busy making creative beanstalks using a variety of materials and resources. Children were very excited to see their beanstalks emerge and are looking forward to observing how tall their beanstalks grow (we will measure these regularly with a ruler). Children are thoroughly enjoying our new role play area 'The Garden Centre'. Children have been taking on the different roles of cashier and customer. Following 'my money week' and our learning about different coins, the cashier looks closely at the coins in the till to find the necessary change. The customer purchases gardening equipment and seeds. The children have enjoyed taking a break in the Minibeast Cafe making slug sandwiches and bug burgers! After half term our learning challenge is 'What can we do with water?' this topic is based upon the importance of water, plants and growing, staying hydrated, water play, oral hygiene, washing ect. The first week back to school is a 'focus week' the whole school is participating in learning about being reflective learners, honesty and changes. With adult support, children will complete a self-reflection upon their Nursery year as part of their end of year reports. Also, each key stage is focusing on a different era. Nursery is going to be learning all about the 90's. Therefore, we will be comparing Miss Godfrey as a child to ourselves. We will look at pictures of Miss Godfrey and discuss the similarities and differences between her and our clothes, shoes and toys. We will explore some real life 90's toys. We will also listening to some 90's music and learning the dance moves to The Macarena. CHALLENGE FOR CHILDREN AND PARENTS: CAN YOU LEARN THE MACARENA DANCE OVER THE HALF TERM HOLIDAYS? 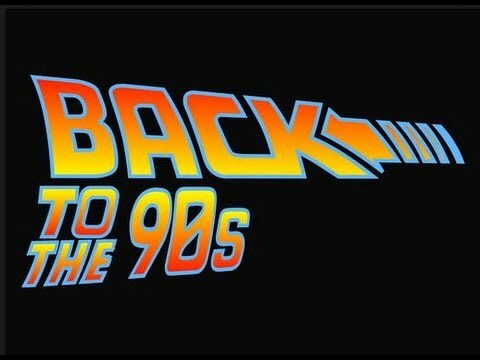 Parents, we are inviting you to our FANCY DRESS 90's DISCO on Tuesday 7th June (for the beginning of the week children) and Friday 10th June (for the end of the week children), between 9-10am. We will have a dance, play some games and even do The Macerena altogether. Children, parents and staff can dress as a 90's cartoon character or in 90's fashion! Please note: on Wednesday 8th June, we are asking your children to bring in one of their favourite toys from home for show and tell. We will compare the similarities and differences between these toys and the 90's toys that Miss Godfrey will bring in. In Phonics this week, Miss Godfrey drew some pictures on the interactive whiteboard. We had to guess what the pictures were before it was complete. We segmented and blended the words by using our ‘stretch and splat’ method. We also practised the letter formation by writing the CVC words underneath the drawings. We had to listen VERY carefully to the beginning, middle and end of the word to help us hear the letter sounds. We read stories regularly in Nursery to promote early reading skills. We discuss the features of stories i.e.fiction/non-fiction; the title; illustrator; blurb; punctuation (fullstops/capital letters/exclamation marks/question marks); beginning/middle and end of stories; and express our thoughts on books through verbal book reviews. If your child is not yet interested in reading books, reading story books to your child regularly will inspire them to gage an interest in reading. Using props such as puppets and real objects from the story can bring stories to life for children. I've placed (STAGE 0 LILAC) picture books and (STAGE 1 PINK) simple reading books in the Nursery entrance. Initially children are encouraged to read books through interpreting what is happening in the pictures. Children are welcome to choose a reading book if they wish. We have been learning the phase 2 tricky words before each of our phonics sessions (into/I/go/no/to/the). Tricky words are words that children need to learn to recognise and are therefore 'tricky' as they are unable to phonetically segment and blend. Support your children at home by creating 'flash cards' for them to recite- make this fun by hiding the tricky word cards around the house or garden for children to find. This week we are learning how to look after Stick Insects! Children enjoying taking turns to hold the stick insects and feel how sticky their feet really are. We discussed why they may be camouflaged to look like a stick. Furthermore, this week we are focusing our learning upon the story The Very Hungry Caterpillar by Eric Carle- we are learning the days of the week, the life cycle of a butterfly, one more and one less than a given number. In phonics, we have been learning all about the letter Y, we have been writing CVC words (leg/cat/dog/mat/rat) on the whiteboards and pictures to match the words. Children blew my socks off this morning and were able to enthusiastically recognise and read the 'phase two tricky words' (the/no/into/go/to/I). Well done Nursery! This week during our whole class Mathematics session, we created a ladybird on the interactive whiteboard (see above). First we rolled the dice and added the given number of spots to one half of the ladybird. Then we rolled the dice again and added spots to the other half of the lady bird. Children enjoyed representing the number of spots using their fingers, the addition and equals sign were represented using their arms. We added the two groups together to find the total. Children had the opportunity to write the number sentence on the interactive whiteboard. We thought about number formation and used the number rhymes to remind us how to correctly form the numbers. All children then created their own ladybird with a paper plate, rolled the dice and added black spots of paint. Children then made number sentences in a variety of ways including using the 'number sentence' stones. Your children thoroughly enjoyed learning all about Africa last week and the market stall was a success! To cross link last week's focus week 'Africa' to our half termly topic 'Minibeasts', we have a special visitor in our classroom. Sylvia the Giant African Land Snail is spending the week in Nursery for us to observe, draw and learn about. After half term our learning challenge is 'Who goes to the ugly bug ball?' this topic is based upon the theme of insects and minibeasts. The first week back to school is a 'focus week' the whole school is participating in learning about relationships, team work and responsibility. Each year group is focusing on a different continent or country to explore how we are global citizens. Our focus is Africa. 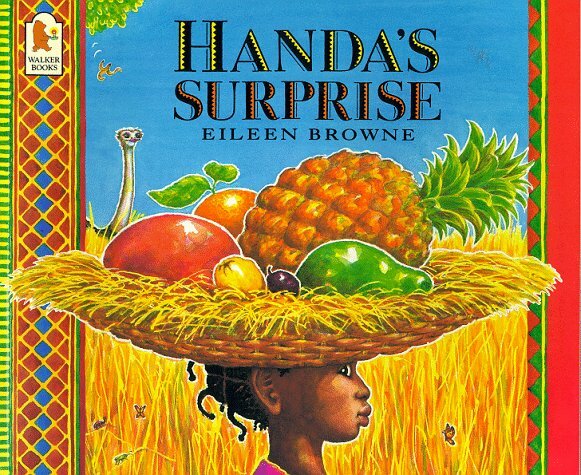 Therefore, we will read the story Handa's Surprise by Eileen Browne and even get to explore (and taste) the fruits found in the story. We will compare Africa to England and discuss similarities and differences between animals, clothing and the environment ect. CHALLENGE FOR CHILDREN: CAN YOU FIND ANY INTERESTING FACTS ABOUT AFRICA? DON'T FORGET TO BRING YOUR FINDINGS INTO SCHOOL TO SHARE WITH YOUR FRIENDS! After school on Tuesday 26th April (for the beginning of the week children) and Friday 29th April (for the end of the week children), we will be selling African goods that we have made during the week in the Community Room (in the entrance of Nursery). The children were fascinated to discover the difference between a unfertilised egg and a fertilised egg. As you can see in the above images the light is passing through the unfertilised egg whereas the light shows the fertilised egg's embryo developing inside. We watched a short clip to find out about a chicken embryo's development - Please watch with your child at home to encourage further interest, questioning and discussion! We are all very excited for the chicks to finally hatch! It's time to get creative! Children - make an Easter bonnet at home to bring into Nursery on Thursday 24th March. (Beginning of the week children to bring in their Easter Bonnets on Tuesday 22nd March). Children from big school are going to come to Nursery to judge our easter bonnets and award the winners with an Easter Egg! l o n g socks, three pairs of socks! (Children at the end of the week will be wearing lots of socks on Wednesday 23rd March). We made our first number line! We have been doing lots of work on number and matching numeral-quantity over the past few weeks. This week in our whole class mathematics session we worked as a team to create our own number line on the interactive white board (as seen above). First, we prepared ourselves into 'maths mode' by singing the doubling and counting in 10's song. We discussed the numbers which should belong at the beginning, middle and end of the number line. We thought about one less than and one more than a given number and also had the opportunity to write numbers on the number line. Our nursery friends helped us with the number formation using the number fans and the familiar number rhymes i.e. "around the tree around the tree that's the way we make a three". As you know, to give children first hand experiences in regards to our topic this half term we are visiting Meanwood Valley Farm (see the letter that was sent home for specific details). Don't forget to send the attatched return slip and £2 contribution into Nursery by Friday 4th March 2016. As part of our learning challenge 'What might you find on the farm?' we are receiving a delivery of seven fertilised chicken eggs! This fantastic learning opportunity will enable children to experience first hand the life cycle of a chicken. Furthermore we will learn how to care for the chicks. The estimated time of arrival for the chicks to hatch is 22nd March. This week we are celebrating world book week! As part of the celebration, this week we will be focusing on the story 'The Cow who Climbed a Tree' which is a new story sent to us by 'Seven Stories'. We will be doing shared reading using the books that children bring in from home with Reception class! (Please ensure your child's name is written on the first page). Last week, as an introduction to World Book Week, we had a special visitor. Tony Wilson the Storyteller came into Nursery to sing, play musical instruments and tell us imaginative stories! After half term our learning challenge is 'What would we find at the farm?' I have lots of exciting things planned for this topic (as you can imagine) but awaiting confirmation prior to revealing plans! The first week back to school is a 'focus week' including the theme 'It's good to be me'. I am asking children to bring in something from home on Wednesday 24th February 2016 which they can show and tell. They need to bring something in that they are proud of: something that reflects the theme 'It's good to be me'. We have been learning about the stories Goldilocks and the Three Bears and The Magic Porridge Pot. Children had the opportunity to prepare and eat their very own porridge. We discussed the importance of good hygiene when preparing food and the safety implications of using cookers and knives. We followed ‘The Three Bears Recipe Book’ using measures to make our porridge ‘just right’. We predicted how the porridge might change when heating it. Finally the children added their own toppings (a selection of sultana’s, honey, brown sugar or fresh fruit). Yum yum! Please see images of your children making and tasting porridge on Earwig later this evening. On Friday 5th February we are wearing red for the day to raise awareness and support the British Heart Foundation. Children are asked to bring in a donation for the Children's Heart Surgery Fund. I have made some new name cards for when children arrive in the morning. The name cards only have your childs' name on the front (with their individualised object on the back). Please encourage your child to find their own name. The idea behind this game is that all children will be able to recognise their own name in a couple of weeks. After reading the traditional tale Hansel and Gretle, the children have enjoyed transforming the Christmas Coffee Shop into a Gingerbread House. Over the past couple of weeks, Miss Hilliard has helped children create wonderful artwork to display around the Gingerbread House (as seen in the above photograph). Children dress up as characters and retell the story of Hansel and Gretle through roleplay. Furthermore, children have retold the story by looking at picture books and reordering story stones. We will explore more traditional tales over the upcoming weeks, including; The Three Little Pigs, Goldilocks and the Three Bears and The Gingerbread Man. Following the story 'The Colour Monster', this week I have introduced an electronic rewards system 'Class Dojo'. Children receive monster points for desirable behaviours such as following the carpet rules, helping to tidy up and being a kind friend. The points are added up throughout the day to individuals and to the whole class. One point is removed for undesirable behaviours such as using unkind hands, saying unkind words and not listening. The first child to reach twenty points recieves a special treat from the magic bag. The monster points are then reset and the process begins again! Our learning challenge this half term is 'Which colours make you feel happy or sad?' this challenge includes exploring colour and emotion through a variety of learning opportunities. We will read books linked to this topic such as 'My Many Coloured Days by DR Seuss' and 'The Colour Monster- a pop-up book of feelings'. We will participate in circle times which will help develop the understanding of others feelings and differing opinion. Children will also have the opportunity to participate in transforming the Christmas Coffee Shop into a Colourful Gingerbread Cottage! You have been invited to our 'Every Piece of Artwork Tells a Story' Event! The first week back to school is a focus week. As part of this focus week the whole school is participating in 'The Big Draw' - 'Every Drawing Tells a Story'. In Nursery, we are going to change the title to 'Every Piece of Artwork Tells a Story'. This will involve the opportunity for parents to create a 'story' with children using the different areas of continuous provision (playdoh, paints, pencils,junk modelling, collage ect). We are inviting you to come in to Nursery on Friday 8th January (for children that attend end of the week) and Monday 11th Janurary (for children that attend beginning of the week) between 9am-10.15am. Resources will be available for you and your child to choose a story and retell it, or use your imagination to make up your own story! At approximately 10am we will share a few of the 'stories' with the rest of the children. Miss Hilliard and I are absolutely thrilled with how fantastic our Nursery children performed in the Nativity. We hope you thoroughly enjoyed the show! The children were very excited to give you their special christmas arts and crafts that they have been busy making the past few weeks- we hope you particularly liked the personalised reindeer cards! We can't thank you enough for your very generous Christmas gifts- we hope you all have a lovely Christmas! This week the children were surprised to find a crime scene (including a messy combination of festive hats, party poppers, carrots and sweet wrappers). We gathered the evidence and discussed who could of committed the crime (possible suspects included Peppa Pig, an elephant, Santa, a rabbit, 'Our Mums and Dads', a princess and reindeer) The children set up a secret camera and the next day we discovered who had been partying in our classroom! Now it's December we have started our festive activities! We have been rehearsing 'Whoops-a-Daisy Angel' in preparation for our Christmas Nativity. We hope to see you on Wednesday 16th December at 11.20am (for the beginning of the week children) and 12.30pm (for the end of the week children). Also, If you wish to help on the 16th December with our Christmas party and Nativity preparations, a parent helper list will be displayed in the Nursery entrance over the next week or two. We are having REAL owls visit Nursery! Throughout the next half term our topic/learning challenge is ‘Where Does the Day go at Night?’ this involves teaching your children about nocturnal animals. As you know, we have our very own owl in Nursery, Spike takes turns to go home with children. We are also going to be reading Owl Stories such as ‘Owl Babies’ and ‘The Owl that was Afraid of the Dark’. The York Bird of Prey Sanctuary are visiting us on Wednesday 25th November and bringing along four of their owls. The visit will involve an educational talk about the owls and an opportunity for your child to hold an owl. I would like to thank you all so much for your generous donations to fund the visit! It will be a truly fascinating experience for your children. Extend your child's learning at home by finding out some 'Owl Facts' that your child can share with the rest of the class! Over the past two weeks we have been improving our 'Listening and Attention' by playing listening games. This week Nursery children have had their first School Trip to the park.The children wore their magic listening ears whilst on the listening walk, this helped them tune into different environmental sounds. Please have a look at Earwig to see photo's of your children. Children at Calverley Parkside School are taking part in a sponsored 'Maths Challenge' with all money raised going to support the NSPCC. Sponsor forms will be sent home shortly and must be returned to school by Wednesday 4th November. In Nursery, we have decided to do a sponsored 'Number Hunt' where children will find all of the hidden numbers in our outdoor area. Extend your child's learning at home by going on a 'Number Hunt' whilst outside walking. Encourage your child to look for numbers on doors, buses, number plates and signs. 1) Who can find the most colourful leaf? 2) Who can collect the most conkers? All collected items will be used to enhance learning. We will use the leaves and conkers in our 'Autumn' tuft spot as part of continuous provision. They will also be used to teach Mathematical concepts such as grouping and counting. Winners will be announced after half term (Monday 2nd November and Thursday 8th November). Look what we have created! The children have been taking turns on the smart board. The children have tried very hard to create circles, squares, trianges, lines, squiggles and zigzags. The children sat on the carpet and were encouraged to challenge one another to draw particular shapes. Please see Earwig for photo's of your children making these marks. I am delighted to see how quickly your children have settled into Nursery and how they have adapted to the daily rules and routines. The ‘Tidy up Turtle’ has been supporting children with the tricky tidying up process. At the end of each day he chooses a child that has been a good helper to go home with (please can you ensure the turtle comes back into school with your child the following day). We have read the story ’Spikes Best Nest’. Spike the Owl lives in Nursery, by Our Reading Garden, in the Butterfly Tree. Spike loves meeting new people and going on adventures. Every child will have a turn to take Spike home and record their adventures in his diary. Thank you for letting us visit! Miss Hilliard and I thoroughly enjoyed visiting you and your children in your homes. We really value the opportunity to meet children in their home environment as this is an essential part of the home-school transition process. We are both very excited for you to start Nursery over the upcoming weeks. Please find attatched the document which gives you a description of what to expect when your child starts Nursery.